"Mrs. Sievers is the sole support of her mother and has a son-in-law in the Army." 4x5 Kodachrome transparency by Jack Delano. 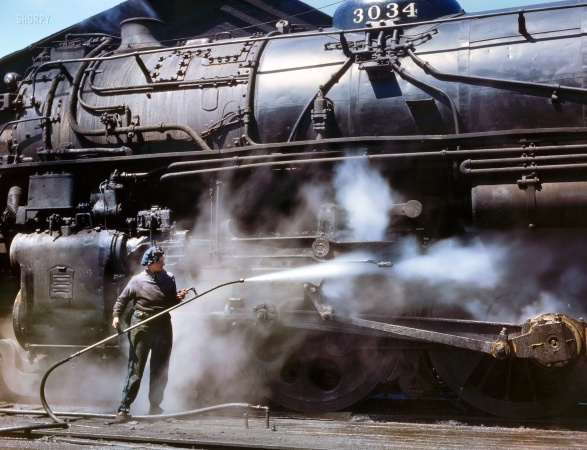 "Viola Sievers, Chicago & North Western wiper, giving a giant 'H' class locomotive a bath of live steam at Clinton, Iowa."